Losing a tooth is a common experience, but it does not have to leave you with a gap in your smile. Whether you have lost a tooth to dental trauma, gum disease or tooth decay, dental implants in Oxon Hill could be the answer. The dental implants procedure is helping people across the country rediscover healthy, beautiful, functional smiles. A dental implant is a surgically implanted device that replaces the natural root of a lost tooth and provides a strong, durable foundation for a replacement tooth. The most common type of implant is the endosteal implant, which consists of a small titanium rod or screw-like post that is inserted into the jawbone. This type of implant requires adequate bone support, which means that your jawbone must be dense, strong, and healthy—or you can undergo a bone graft to stimulate bone growth at the implant site. If your jawbone cannot support endosteal implants, we might recommend subperiosteal implants instead. Subperiosteal implants are placed between the gums and jawbone. We can help you decide on the best implants for your needs. Several things can affect the cost of dental implants, including the type of implants, the post material, and the type of crown used to restore the implant. If you need any additional procedures, such as bone or gum grafts, they can also affect your final dental implants cost. This can result in a higher cost than other types of restorations, but implants are ultimately an investment in you and your smile. You and your dental health will benefit for many years to come from this revolutionary restoration option. Scheduling a consultation with our team is a great way for you to learn more about your expected dental implant cost. As the benefits of dental implants become more widely known, more dental insurance plans will likely be covering implants. Dental implants insurance might cover only the implant itself or both the implant and restoration. The cost of dental implants with insurance will likely include coinsurance or your copayment amount. Unfortunately, standard dental plans do not always offer dental implants insurance. 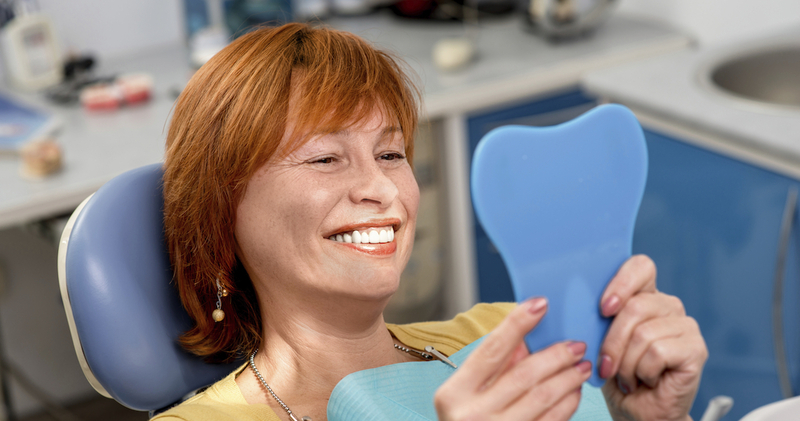 If you are unable to get dental insurance for implants, our dentist in Oxon Hill offers flexible financing options that can make your treatment more affordable. Call us for more details. Several steps are involved in placing dental implants. The process begins with a comprehensive examination, including scans, X-rays, and other imaging tests to plan your treatment. If you are having endosteal implants placed, the implant will be surgically implanted into the jawbone. Dental implant procedure pain is usually mild and can be managed by over-the-counter pain relievers. Over the next several months, your jawbone will heal and, in a natural process called osseointegration, it will fuse with the implant. Once this happens, our dentist in Oxon Hill will attach an abutment, which is a connecting device, to the implant. At this point, we will custom fit a porcelain crown and bond it to the abutment. Scheduling a consultation with us is a great way to learn more about the dental implant procedure steps and get started on the road to a healthy new smile. Caring for dental implants is no different from caring for your natural teeth. Our Oxon Hill dentist will provide you with instructions for dental implant care after surgery to manage pain and reduce the risk of infection. Once your mouth heals, you can brush and floss your implants and finish with a swish of antimicrobial mouthwash. Schedule routine checkups and cleanings with us every six months to keep your implants and natural teeth healthy. Who needs dental implants? Virtually anyone who has lost a tooth can benefit. Call us to schedule your consultation to learn if you are a dental implant candidate. One of the most common questions we are asked is, “How long does a dental implant last?” How long dental implants last can vary on a few factors. However, with proper oral hygiene and healthy dental habits, your implants can last a lifetime. Call our dental implants team in Oxon Hill to find out more about the dental implants procedure or to schedule your consultation.